But when strangers arrive in town, Sebastian soon realizes that his world is nothing at all what it seemed. Secretive gypsies surround him, shadowy figures stalk him, and the girl he’s been dreaming about turns up at school. Now Sebastian must protect this girl at all costs, even if it means he will never be normal again. 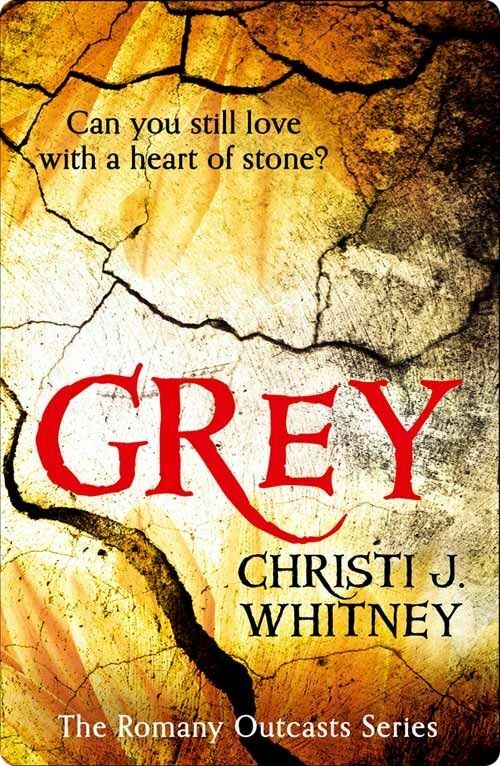 Grey is available at Amazon US and Amazon UK. Get it for your Nook at Barnes & Noble. I hear my name, but I can’t answer. I’m trapped by the image in my head. A girl dancing. Ribbons in her hair. My mind ripped free. I jolted, launching papers into orbit. For a split second, I wasn’t convinced of my surroundings. Then, as fluorescent lights bored through my skull, it hit me. I was in the middle of class. And twenty-five pairs of eyes were staring straight at me. All my school supplies littered the floor – textbooks, papers, colored index cards. Everything except the pencil that I’d somehow snapped between my fingers. I coughed and hunkered in my seat. Across the aisle, Avery leaned sideways in his desk, giving me the look I’d seen way too many times: the one that questioned my sanity. Mr Weir moved closer. He glowered at me from under spidery eyebrows. I prepared myself for the tirade. But just as he took a wheezing breath, the bell rang. I shrugged and gave him my best smile as the room reverberated with slamming books and screeching chairs. Mr Weir grunted and waddled back to his desk, my outburst promptly dismissed as more important matters – like the end of the school day – took precedence. I dropped to one knee and recovered my textbook. I stuffed them in my bag, taking care to hide my tattered copy of Hamlet from Avery’s prying eyes. We squeezed into the crowded hall, avoiding locker doors banging open and shut around us. ‘You never answered my question, you know,’ Avery continued. We strolled in companionable silence down the hallway. Okay, maybe I was the one who was silent. Avery Johnson – senior superlative and social giant – had something to say to everybody we passed. At the end of the corridor, he stopped. Christi J. Whitney is a former high school theatre director with a love for the arts. She lives just outside Atlanta with her husband and two sons. When not spending time with them or taking a ridiculous number of trips to Disney World, she can be found directing plays, making costumes for sci-fi/fantasy conventions, obsessing over Doctor Who, watching superhero movies, or pretending she’s just a tad bit British. Her latest book is the young adult urban fantasy novel, Grey (The Romany Outcasts Series, Book 1). 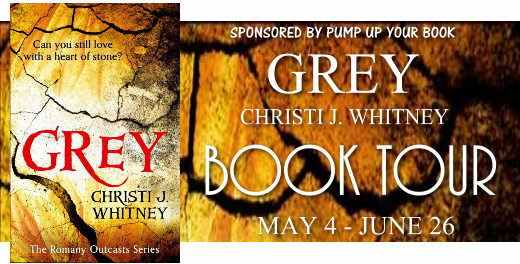 Visit Christi J. Whitney’s website. Connect with Christi on Facebook and Twitter. Find out more about Christi at Goodreads.